On the 31st of May, a delegation of doctors and directors from the Unimed medical cooperatives in the Brazilian state of Minas Gerais travelled to Barcelona to attend a workshop held at Espriu’s Hospital de Barcelona. Espriu Foundation’s President Teresa Basurte received the Brazilian cooperative delegation and invited them to learn about the uniqueness of the cooperative management of a hospital owned by the patients using its services. On the other hand, Espriu’s Board Member Gerard Martí gave a presentation, in which he approached the concept and the operation of the cooperative hospital where the session was held, as well as the existent activity and interrelations among the institutions making up the Grup Assistència. 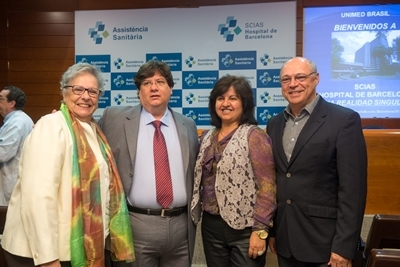 Opinions and experiences about the various cooperatives and hospital administration-related aspects were shared during the meetingand possible collaboration schemes between the Espriu Foundation and the Minas Gerais health cooperatives were discussed. 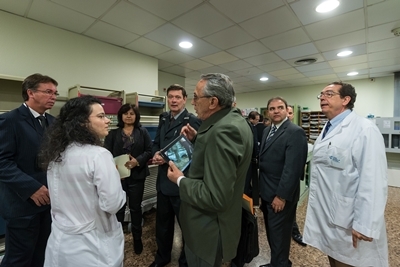 Subsequently, Dr. Martí accompanied theUnimed delegation on their visit to hospital facilities, during which they were able to see some of the most innovative equipment available at the hospital. The model developed by the Scias cooperative for hospital government is a case study; it receives numerous visits from health care managers, attracted by the success of the system, in search of inspiration to adapt it to their own environments. The Unimed Minas Federation covers 62 cooperatives and 16,000 doctors. It provides direct employment to more than 6000 people in its 12 hospitals, six medical centres, 24 pharmaceutical centres and nine laboratories. In the state of Mines Gerais it accounts for 51% of the health care market share, providing services to more than 2,660,000 clients.